I pretty much always include some kind of whole grain in my breakfast. 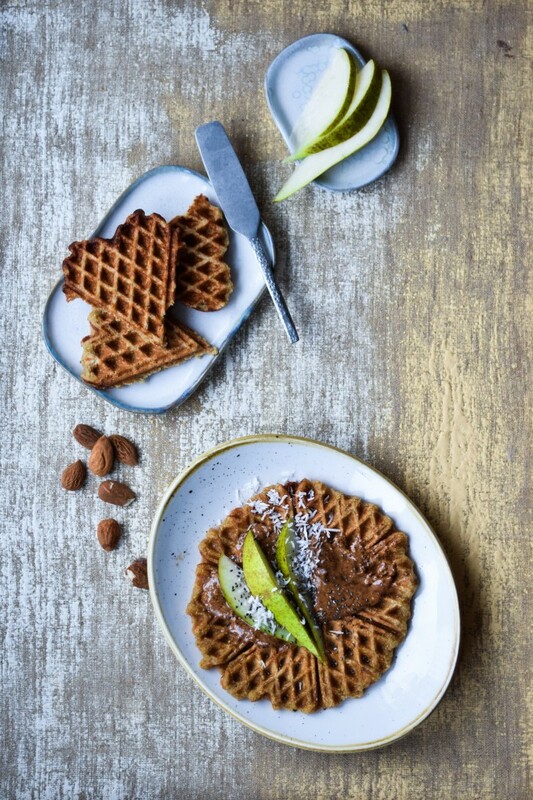 That being rye, spelt or oats like in this healthy banana waffles recipe. It keeps me going for a long time plus I’m a huge fan of the health benefits that eating a diet with LOTS OF whole grain adds to your body. But as much as I’m into those whole grains, I also just LOVE a sweet breakfast. 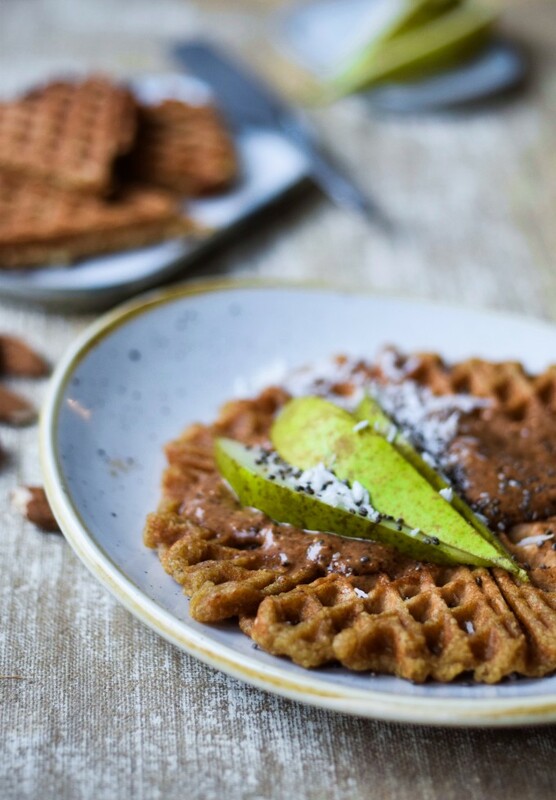 That’s actually what I prefer the most, when it comes to choosing between a savory breakfast like eggs benedict or a sweet one like these healthy banana waffles. 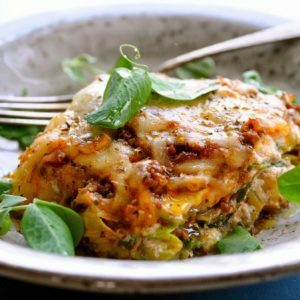 Anyways, hope you like this recipe. 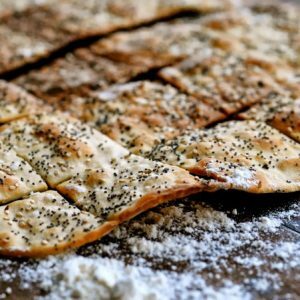 It’s a favorite of mine and I probably make every week or so. Also because my 2-year old is just crazy about these banana waffles. 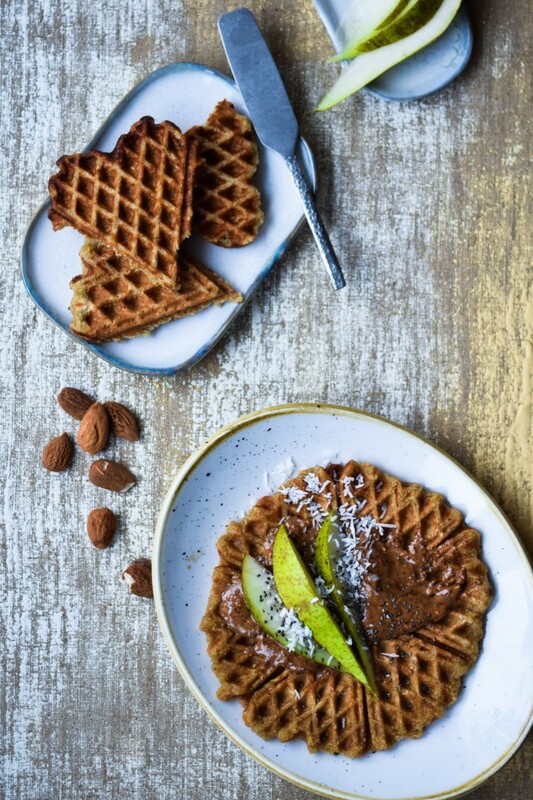 PS I’ve served the banana waffles with almond butter, as you can see in the pictures and it is A M A Z I N G.
Super yummy and healthy banana waffles with oats. When you're in the mood for something sweet and want to be healthy at the same time. Add bananas, almond milk, baking soda, vanilla powder and salt and blend until you have a nice dough. 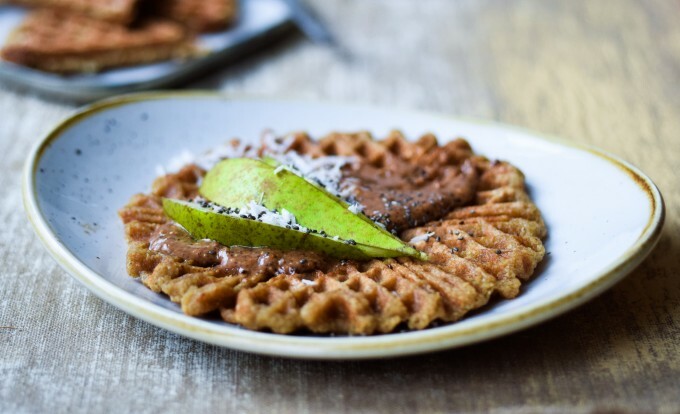 Bake the waffles in a hot waffle iron greased with coconut oil and serve straight away.